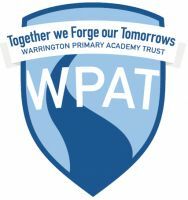 This privacy notice sets out how Warrington Primary Academy Trust (WPAT) uses and protects any information that you give when using this website. WPAT is committed to ensuring that your privacy is protected. Should we ask you to provide certain information by which you can be identified, then you can be assured that it will only be used in accordance with this privacy notice. WPAT may change this policy from time to time by updating this page. You should check this page from time to time to ensure that you are happy with any changes. This policy is effective from 25th May 2018. We collect and use your information under Article 6.1f of the GDPR (Processing is necessary for a legitimate interest). We will use the information you supply to respond to the query you have contacted us with. By completing the contact form on the website you are giving your permission for us to contact you regarding your query. We hold the information you supply securely within a restricted access part of the WPAT network. This access is limited to WTSA office staff and WPAT office staff. It is routinely backed up each night and these backups are kept for 90 days. All data in the backups is encrypted and on two different servers, both held within the UK. Unless asked to do so earlier, we will hold your data for a period of two years, from the point of contact, before it is deleted. We will contact you before your information is removed to ask if you would like to continue to receive emails from us. We will not share or sell information gathered on this website with any 3rd Parties without your express permission. Under GDPR, you have the right to request access to the personal information that we hold about you. To do this, you must make the request in writing to info@wpat.warrington.sch.uk or at Warrington Primary Academy Trust, Warrington, WA5 1B. We will require proof of identification before we can look into your request.